It was February 3rd, 2016, the day before my expected due date. I woke up that morning feeling different. After having 12 hours of consistent practice contractions the week prior, I was hesitant to believe what I was feeling could be early signs of labor, but I was able to believe that giving birth was in my near future. I trusted my gut. That morning I informed my employer that I would be coming in late to work since I didn’t feel well. I took my time getting ready and went into work. When I was at work, I started getting contractions that were consistently 20 minutes apart but distinctly different from those I was feeling the week before. They started in my hips, wrapped around to my lower abdomen, and sent a soft but shooting sensation down the side of both my legs. There was no doubt in my mind that something positive was happening, but I’m well aware that early labor is a process that can take several days or weeks, depending on the mother. Even so, I trusted my instincts, wrapped up any last-minute business at work, and left for home a little early. This was my second birth. One of the things I so badly wanted for my first birth was a natural, unmedicated birthing experience for my baby and for me; and although I consider my first birth to have been a good experience, the cards did not fall in place for an unmedicated birth. With all the research I have done to this point, and with what I have witnessed as a birth doula, it was my intention for both births to have as few unnecessary interventions as possible. That can be easier said than done when planning a hospital birth as I had. 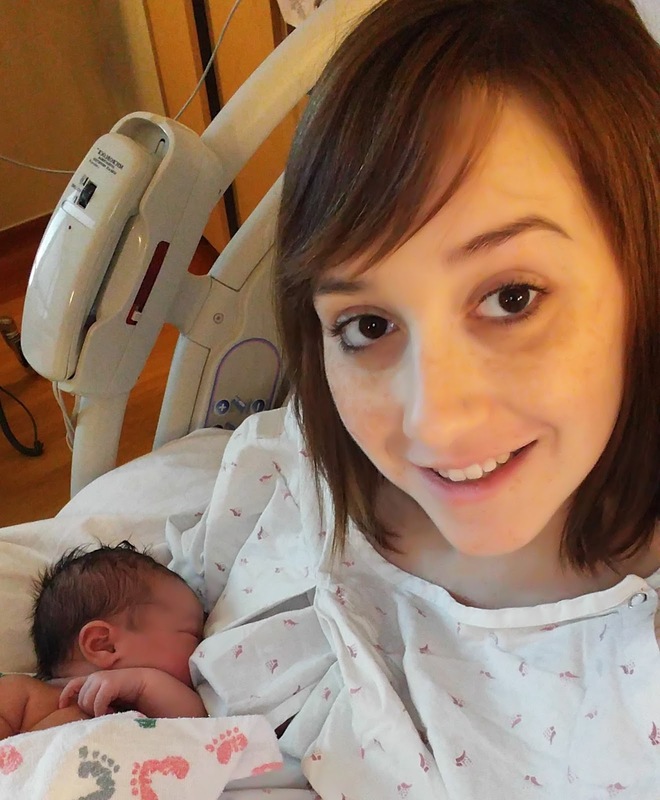 My plan for this birth was simply to stay home longer--until I felt like it was time to leave for the hospital--and I hoped I could wait until my contractions were 5 minutes apart and lasting for one minute at a time. The truth is that every woman experiences labor differently, so the 5-1-1 rule professionals tell women to go by is a general guideline. I knew in my heart and mind that a hands-off labor and delivery is what’s usually best for a positive birthing experience with a healthy mother and her baby, so that’s what I was seeking--it’s what I felt was best for my baby and for me. I left work early that day and immediately went into the shower to slow down my contractions and freshen-up. I had my parents pick up my daughter at about 5:00 in the evening. 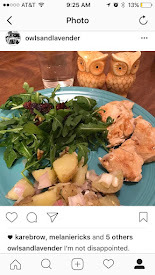 My husband and I made dinner, ate early, and I went to bed at about 7:00 p.m. I was awoken with contractions at 9:30 p.m. and they stayed consistent at 15 minutes apart from that time until about 3:00 a.m. the next morning (February 4th) when they were roughly 10 minutes apart. Partial sleep was my saving grace during this time; I was able to drift off to sleep after each surge, and each time I ignored the fact that I just had a contraction. I continued that pattern until 5:00 a.m. when I couldn’t ignore them anymore, and I woke up my husband at 5:30 a.m. and gave my doula a heads-up. We labored at home with our doula for just under two hours when my husband said, “I’m not rushing you, but your contractions are less than 5 minutes apart, so we might want to think about when we’re going into the hospital.” I was thinking the same thing right before he said something, so his instincts validated mine, and I decided I would make a decision about how I felt after a few more contractions. We went into the living room, and my birth partners helped me through a few more contractions. I started to shake slightly, I suddenly felt nauseous, and I entertained the thought of pushing. My contractions were also coming at about 2 minutes apart. 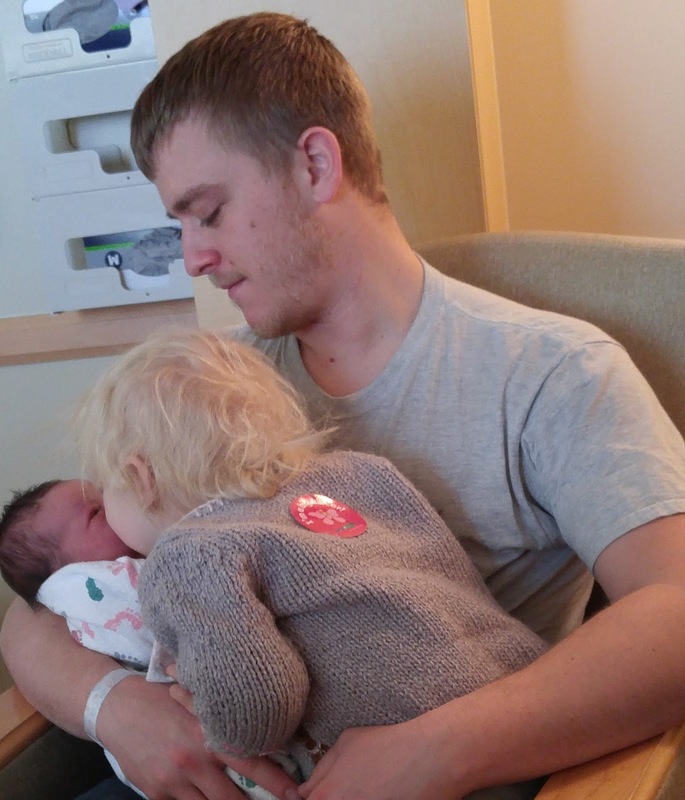 The time was 9:05 a.m. on my due date, February 4th, 2016. I told my birth partners it was time to leave for the hospital, and I got into the car for the bumpiest and most uncomfortable ride of my life. We arrived at 9:15 a.m.
My husband called the OB triage to tell them we were on our way. They informed us we needed to go to the clinic to be checked first, but upon hearing my labor cries in the car the triage nurse immediately changed her mind and had us come to the hospital directly. That was a very good decision, because if she hadn’t, we would’ve had our baby in the clinic’s lobby. I was quickly taken to our room, checked, and the birthing process began shortly after. I was 9.5 cm dilated when they checked. Sadly, my midwife was on vacation and her backup midwife wasn’t able to get there in time, but thankfully I had a very kind OB who attended my birth. I was able to have my most important requests on my birth plan granted. I was offered an epidural but declined, and therefore an IV wasn’t necessary. I am very thankful to my birth partners and to the hospital staff for helping me have the hands-off experience I was hoping for, which I believed to best for the health of my daughter and me. I’m excited to share my story with other women and continue empowering women as a birth doula--once I’m done cuddling my newborn for several months, of course. 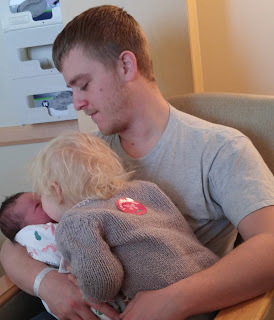 My first birth story, "Audrey's Birth Story & My Rite of Passage"